Three House committee chairs sent a letter to the White House and the Department of Homeland Security on Monday requesting documents related to President Trump's desire to send detained migrants to Democratic-leaning "sanctuary cities." The big picture: The idea, reportedly first debated last November and confirmed by Trump in a tweet last week, has been legally rebuffed by Immigration and Customs Enforcement. 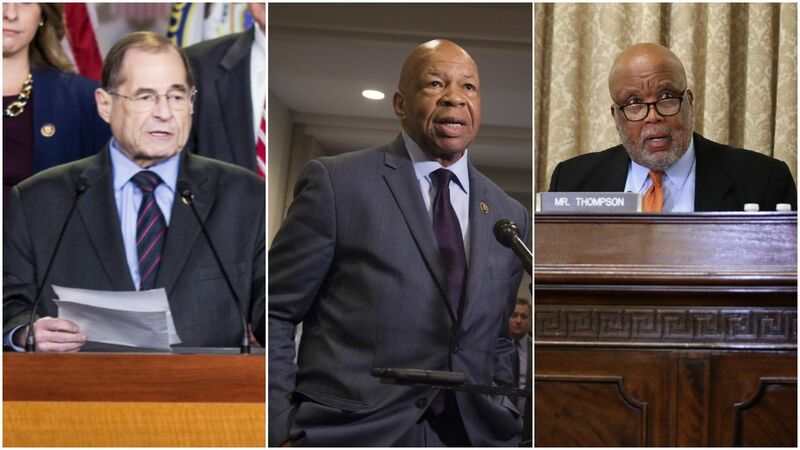 In the letter, House Judiciary chair Jerry Nadler, House Oversight chair Elijah Cummings and House Homeland Security chair Bennie Thompson question the legality of Trump's proposal and call out the administration for "manipulating release decisions for purely political reasons."